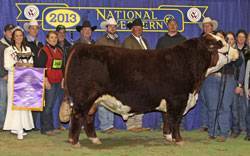 Hometown was the popular 2013 National Western Stock Show Grand Champion Bull! He is square hipped, big topped, upstanding, dominating, and red to the ground. 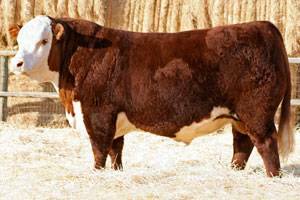 Hometown's dam sits at the top of the Ned and Jan Ward cowherd for maternal power.